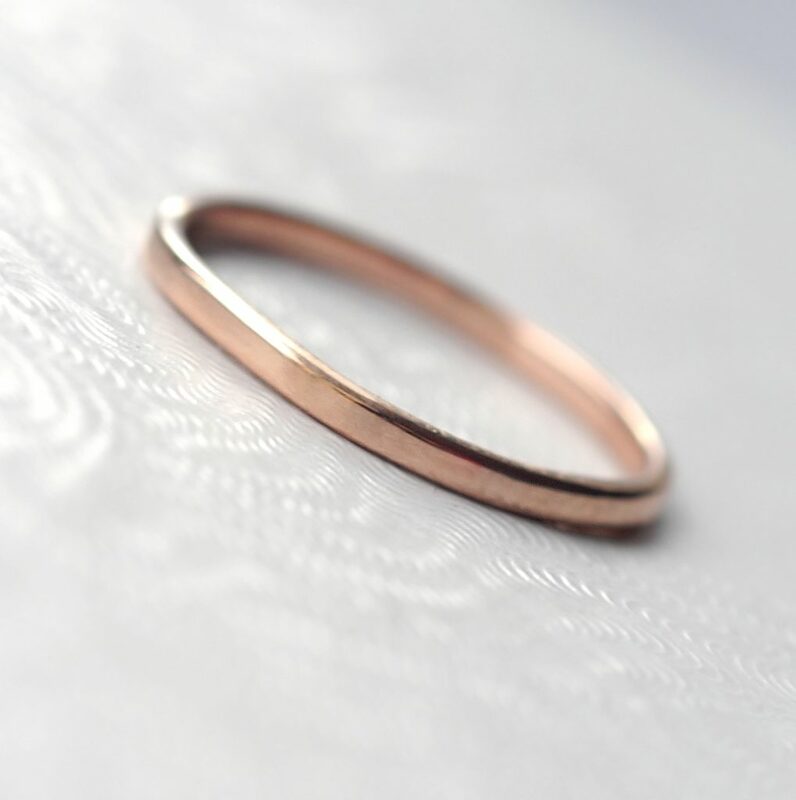 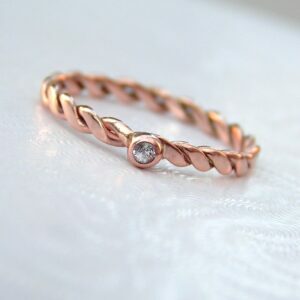 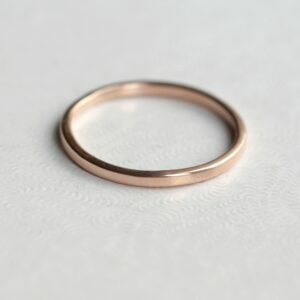 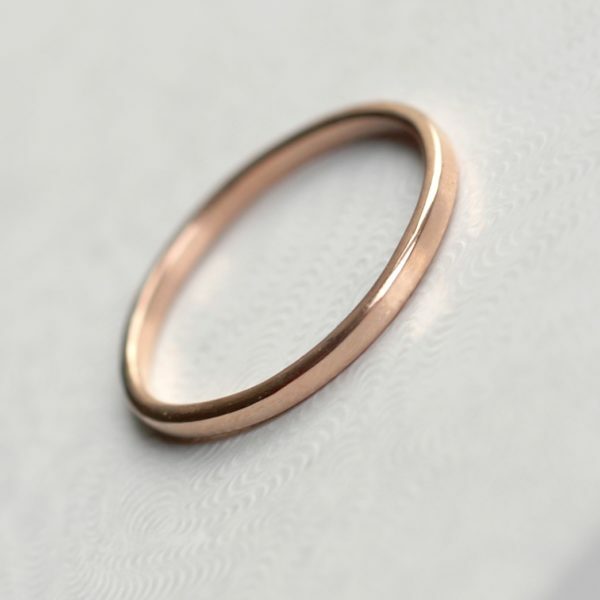 Simple dainty rose gold wedding ring. Thin, lightweight and versatile, easy to combine with engagement ring. 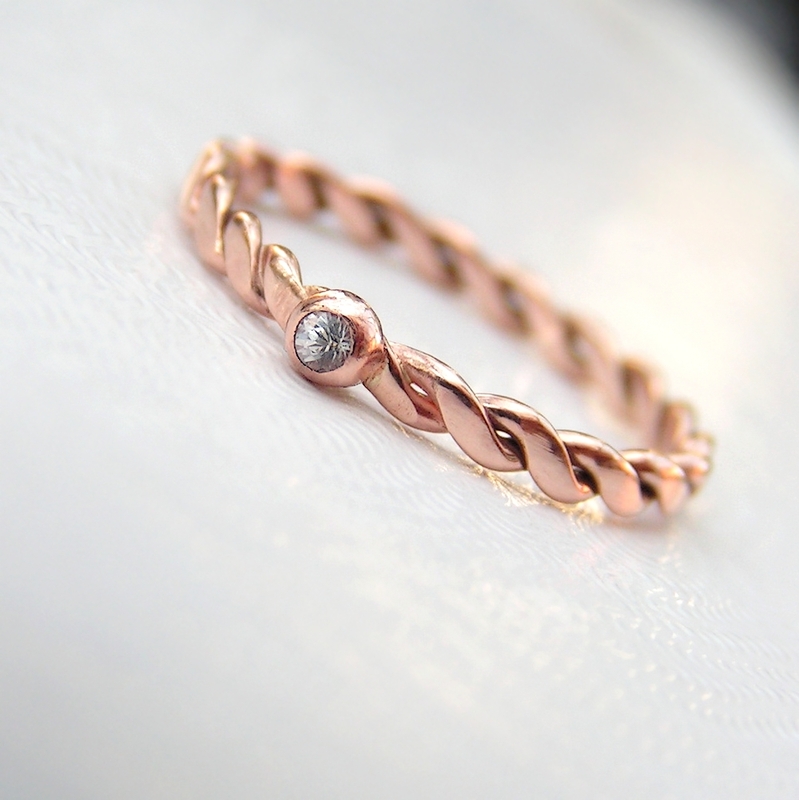 Made of solid 9k rose gold. 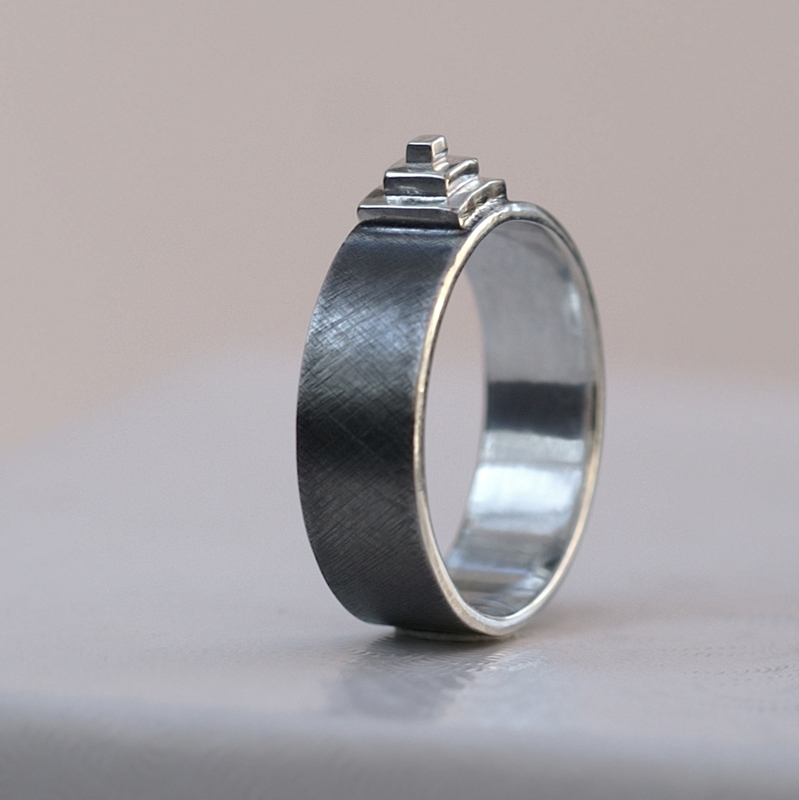 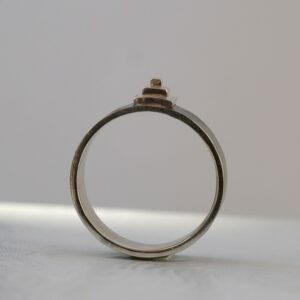 I used hand flattened 1.5mm wire, dimensions of the ring are approximately 1.5mm width and 1.2 – 1.3 thickness. 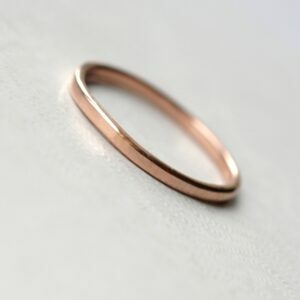 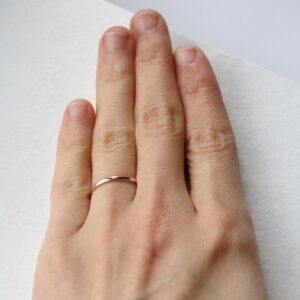 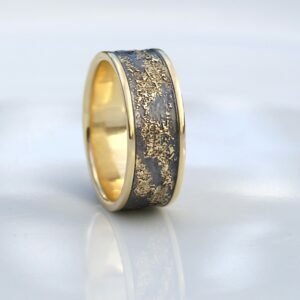 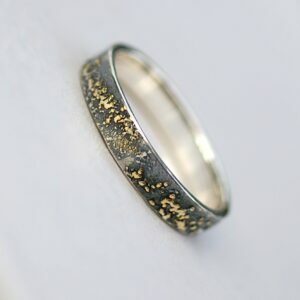 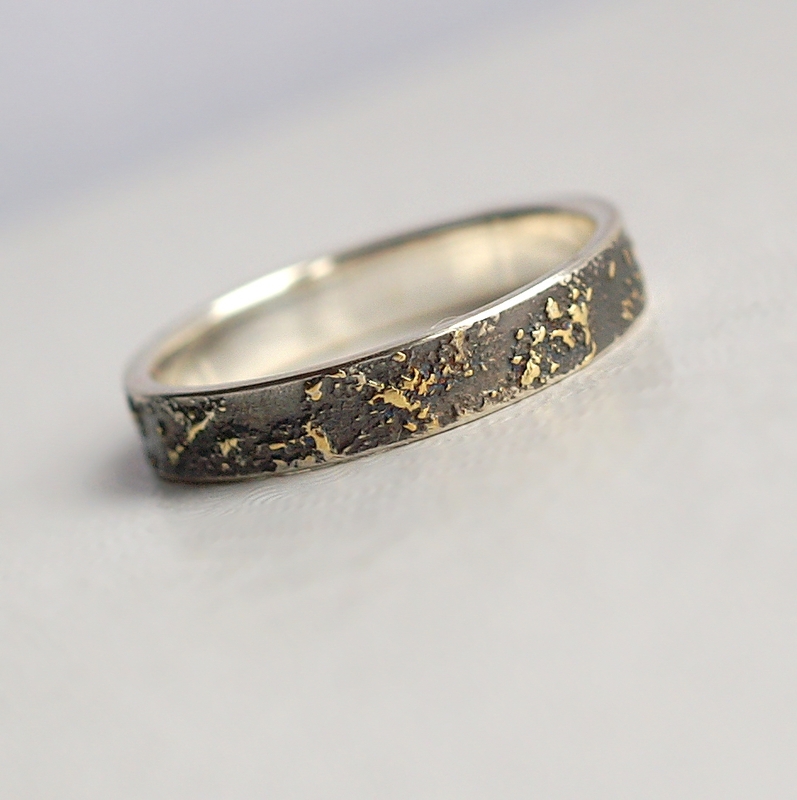 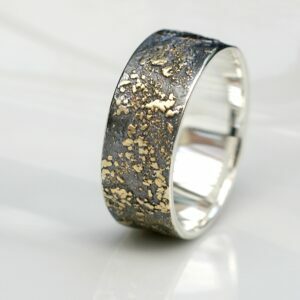 This ring is perfect as a wedding band, but also as a simple stacking ring (mixed with rings of different gold color or different finish) or everyday gold ring. 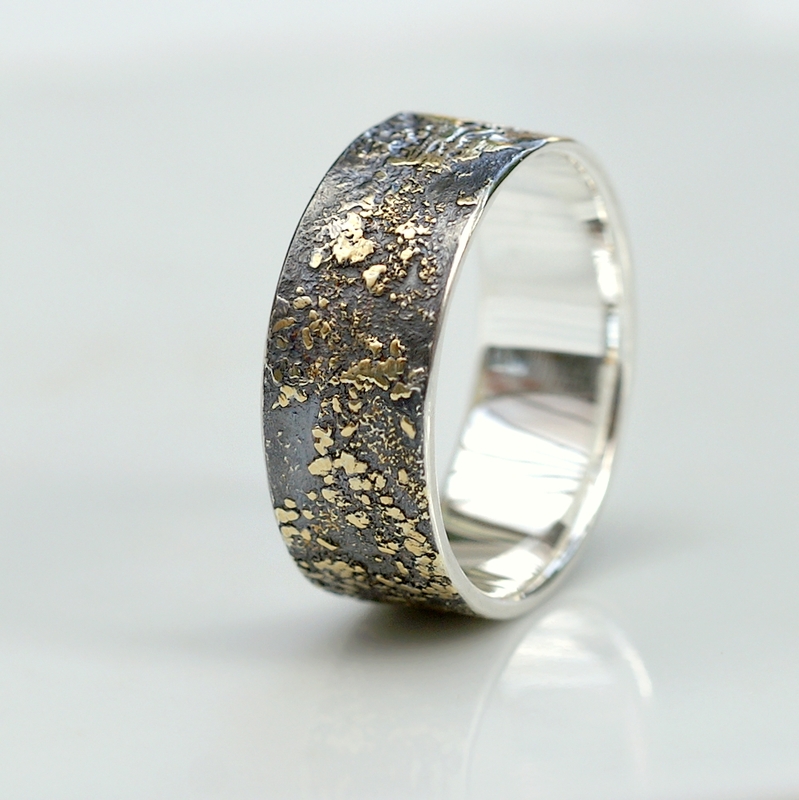 Also available in yellow gold and palladium. 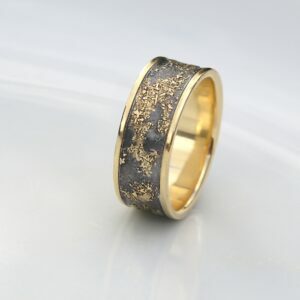 White gold or different gold fineness is available on request.